By using drypoint print making technique, lines tend to look blur and give an “impressionistic” feeling to the image. In this project, I make a print of a long lost friend of mine. Her face looks familiar to me, however, I indeed couldn’t recall it very clearly. 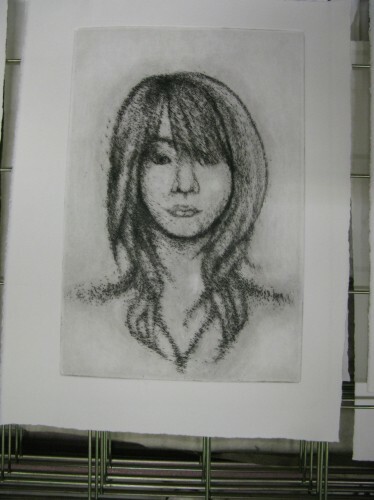 I refer to a photo of her and make the print which as a result it depict the blurriness of her face inside my head.